At Ince Landscape Construction & Management, we welcome a creative challenge. When you entrust your property to us, our landscape experts will design, construct and preserve an outdoor space that’s both welcoming to guests and inspiring to residents. Our service specialties include design-build, drainage and maintenance. We utilize site specific plants by considering factors unique to your property such as sunlight, shade, soil moisture and deer activity. We also select premium landscape materials to achieve your objectives and maximize your investment. 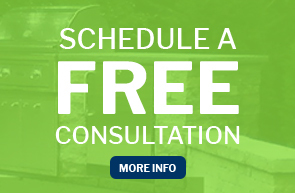 For more information about our full-scale landscape, hardscape, drainage and grounds maintenance services, or to schedule a no-obligation consultation, call or email the Ince team today. Ince Landscape Construction & Management has the experience and skill to beautify and maintain landscapes of all scopes and sizes. Combining our knowledge of regional climate, soil type and horticulture with a hands-on understanding of your property characteristics, we develop customized seasonal and year-round grounds maintenance plans that meet your budget while preserving the value of your outdoor living area. Here at Ince Landscape, we know that time is precious—and in short supply. When you trust us with your NJ landscape, we’ll take full responsibility for the care and preservation of your lawn and garden. We’re committed to saving you the time, energy and worry of managing your home’s exterior—so you have more opportunities to enjoy your outdoor space. To schedule a no-obligation property management consultation or inquire about seasonal cleanups and weekly maintenance, contact Ince Landscape Construction & Management at 908-232-0249, or by emailing Matt@InceLandscape.com today. Like the rest of your home, your landscape is a reflection of your lifestyle and personal taste. At Ince Landscape Construction & Management, our expert design-build team creates outdoor spaces that are entirely unique and suited to you. Built for entertaining or seeking solitude, each garden, yard and patio is skillfully constructed from the finest materials and quality plantings—so your environment will endure for years to come. To meet with owner Matt Ince about designing and implementing your landscape vision, contact Ince Landscape Construction & Management today by emailing Matt@InceLandscape.com or calling 908-232-0249. We’re eager to partner with you—and glad to be of service.